Over time, man’s migration into urban environs has forced him to readapt many previously alfresco activities into abbreviated indoor amusements. Nowhere is this better illustrated than at a gym. An afternoon cycling through the backwoods, rowing down rapids or shredding through the Alps is now abridged into rows of stationary bikes, rowing and cross-country ski machines. Every time I’ve tried one, I imagine I am somewhere out in the great outdoors, moving infinitely toward a distant sunset, the smell of blossoming foliage seasoning the air. Back in the real world, I am subjected to bad, basic cable boredom broadcast on a smart phone-sized screen while I choke on the body odor oozing out of the person sweating like a melting ice cap next to me…lame. It depresses me to think what adventures fitness studios are going to neuter into a fixed position next. 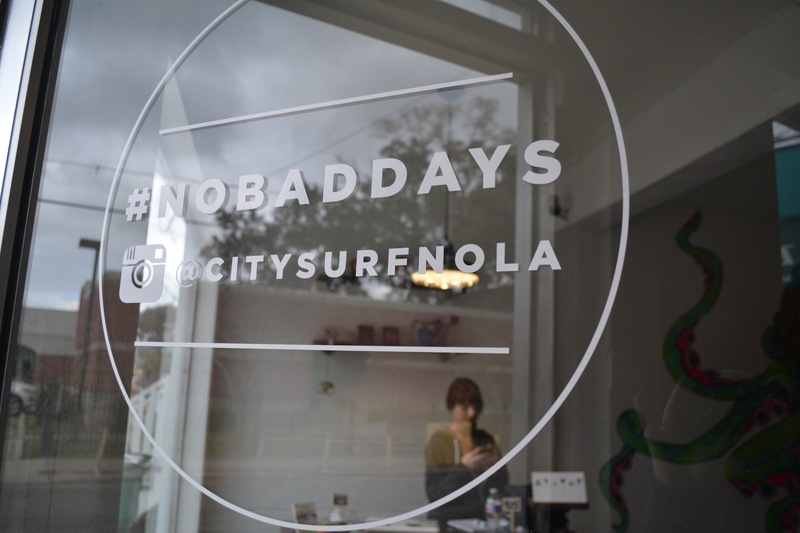 Enter City Surf Fitness, located at 5924 Magazine St. 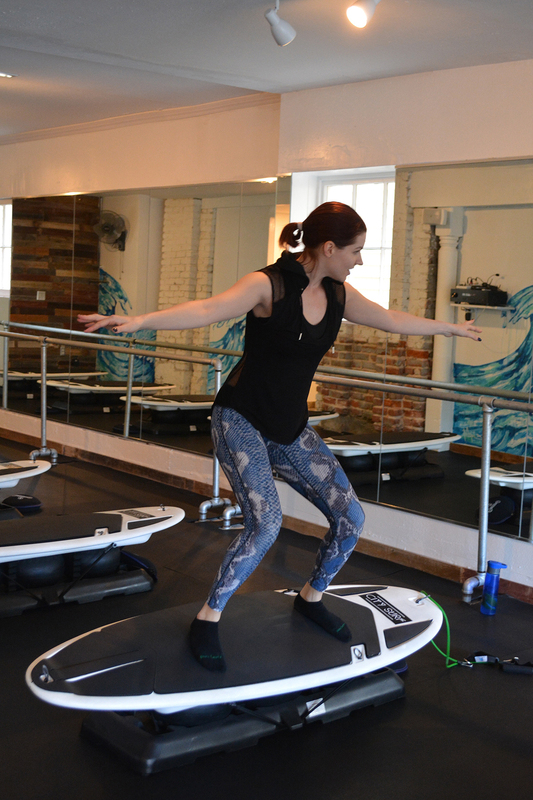 The Riverbend-based studio offers circuit training-style group workouts that– as the name would suggest – incorporate stabilized, indoor surfboards. It is similar in concept to a spin class, but structured more like a boot camp or Crossfit workout. The catch is, it’s not lame like being on a machine. It offers variety, community, challenge and the added skill of learning to balance oneself on the board (assuming you are not a surfer). Best of all, it offers something unique, standing out in a city that in the past several years has become flooded with similarly structured boutique fitness studios. Many may already be familiar with the City Surf concept, which first received mainstream recognition on the Season 4 opener of the hit ABC show Shark Tank. After a vicious bidding war between the sharks, Mark Cuban won out, investing in board manufacturer Surfset Fitness; the company is now featured in flashbacks of the investor’s success stories. Following Surfset Fitness’s big break, Hardin discovered City Surf Fitness in Texas, where sister studios can be found in Dallas, Plano and Austin. Being a fitness and wake boarding enthusiast (not quite surfing, but they share similar qualities), I decided to see what City Surf was all about. Fitness trends come and go, but surfing will never not be cool. City Surf Fitness offers seven different classes addressing a broad spectrum of abilities, including strength, cardio, flexibility, yoga and barre. (A full list of classes can be found here.) Attendees register online and must do so well in advance of classes they wish to take as each one has only 14 availabilities. I enrolled in the Big Kahuna class, a boot-camp-style strength workout. The class was structured much like a Crossfit WOD (work out of the day), consisting of a series of exercises completed in secession without taking a rest. Having previous experience wakeboarding, balance was not an issue for the most part. I could jump on and off the board, squat, plank and do pushups without loosing my footing. However, I could definitely feel the movements more intensely and throughout the entirety of my muscles – both while performing the exercises, and later on that day. Finding one’s balance is much like learning to skate or ride a bike – you are going to fall repeatedly until you find your center of gravity. There were folks who did nothing but fall or try to keep balance for the entire workout. Speaking for myself, I could not do any motions that required being on your back, like sit-ups or bicycle kicks, for longer than a few seconds. I feel this could be hard for some to adjust to, especially if they are bashful to take a plunge in front of others. For myself, the physical act of falling and getting back up made me feel like a kid again – it was exciting and humbling at the same time. Once you find your balance, it is a very rewarding experience. Best of all, the board’s instability leaves you with that weightless feeling you experience hours after getting out of the ocean later in the day. Looking to promote a full-wellness experience, Hardin stresses that building community is a foundation of City Surf’s mission. The studio regularly holds after-hours gatherings in its backyard social space, as well as organizing outside activities for members to participate in together…a far cry from the lonely drudgery of putting in time on a stationary machine at a regular gym. 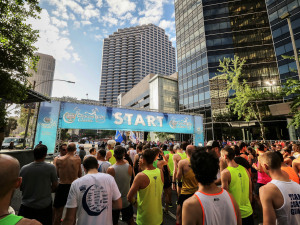 The call for community is a big concern for modern gym goers. According to a 2014 International Health, Racquet & Sportsclub Association survey, 42% of health club members currently belong to a studio, paying on average 13% more to do so. A 2013 Nielsen poll further explains that millenials make up the largest portion of this demographic, placing a sense of community and time efficiency as their top priorities in a gym. 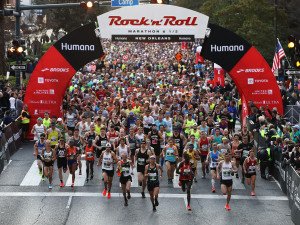 The new generation of fitness enthusiasts, while fiscally conscious, is willing to pay additional fees for these added conveniences. This may explain why traditional gym membership is falling and why only 18% of members report frequenting on a consistent basis. While pretty much any studio in town can sell you a social, time-efficient workout, not all of them allow you the feeling of surfing. Perhaps I’m biased as a fan of board sports, but having tried most of the circuit-training-based workouts around town, City Surf seems to offer the most variety, as well as the most unique experience. It is also the most fun.